A Badger simulator from ThoroughTec. 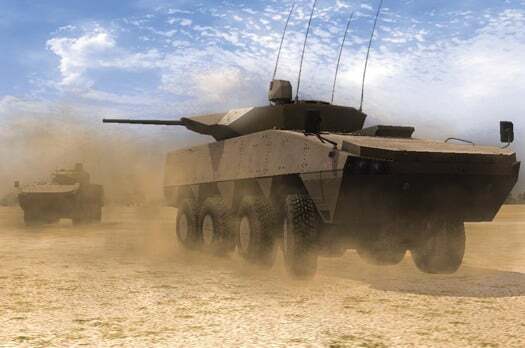 South African simulation house ThoroughTec Simulation is delivering simulators to the South African National Defence Force (SANDF) as part of several broader equipment acquisition programmes. These include Tactical Crew Training Simulators forthe Army’s Badger infantry combat vehicles and Full Mission Simulators for the South African Air Force’s (SAAF’s) new medium crash tender vehicles. According to David Cooke, Vice President: Military at ThoroughTec, the company has completed production and delivery of 28 Badger Driver Training Simulators as well as 16 Section Variant, Turret Crew Simulators. Ultimately, the company will also supply another 12 Turret Crew Simulators representing the missile, mortar and command variants of the Badger. The SA Army is a long-time proponent of simulator-based training, recognising its ability to develop and maintain key mechanised warfare skills without incurring the otherwise prohibitive costs of regular live-fire training. In all, the Army’s mechanised infantry units are set to receive 244 Badgers in different variants and simulator-based training is an essential component of the mission system. The Badger simulators are part of ThoroughTec’s CYBERWAR range of tactical training simulators. The Badger simulators integrate high-fidelity vehicle, weapon and sensor performance models with ultra-realistic instruments and controls, so as to authentically replicate the Badger operational experience and completely immerse vehicle crew in the simulated training experience. At the recent Africa Aerospace and Defence (AAD) exhibition, ThoroughTec showcased its brand new full-mission simulator for the South African Air Force’s latest airport rescue and fire-fighting vehicles (ARFF), the Marcé 6×6 medium crash tender vehicle. Developed under Project Bandsman and working closely with both the OEM and SAAF, ThoroughTec has developed a fire-fighting simulator that includes a photo-realistic, 3D, virtual version of Air Force Base Waterkloof, in which the trainee fire-fighters will hone their skills. Not on display at AAD, but at that time nearing completion in ThoroughTec’s Durban R&D facility, were the three Liebherr mobile crane operator training simulators which ThoroughTec has been contracted to supply under Project MOEMS. Like the ARFF simulators mentioned above, these construction-optimised mobile crane simulators represent first-of-class capability for the SANDF and will revolutionise the way their ultimate users, SAAF fire-fightersand SA Army Engineers train, ThoroughTec said. Since inception in the mid-1990s, ThoroughTec has developed into an international business, deploying more than 500 simulators around the world and establishing offices in most major markets. According to Cooke, military projects typically account for between 20% and 30% of ThoroughTec’s annual revenues, yet they remain an essential part of its business, often leading the way into new technologies and ensuring that the company remains true to its military standard engineering roots.